Sarah, the wife of Abraham and the mother of Isaac in Genesis, is a central biblical character because of her role in the establishment of the people later called Israel. 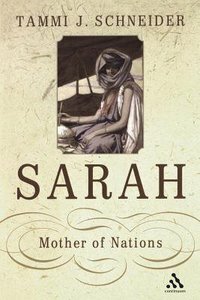 In recent years the image of Sarah has not fared well in scholarship, where she is depicted as petty, indulgent, and self-absorbed, and as the oppressor of Hagar. This study examines Sarah and her role in Genesis to understand how women function in the biblical text, how the biblical writers constructed women's roles, and how this affects a modern reading of the Hebrew Bible.Tammi J. Schneider is Associate Professor of Religion at Claremont Graduate University. She also co-directs the renewed excavations at Tel el-Far'ah (South) in Israel. She is the project director at the Institute for Antiquity and Christianity and serves on the Board of Trustees for the American Schools of Oriental Research. She recently published Judges in the Berit Olam series and is the editor for the Ancient Near East section of Religious Studies Review. Tammi J. Schneider (PhD, University of Pennsylvania) is professor of religion at Claremont Graduate University in Claremont, California. She is the author of Sarah: Mother of Nations, Mothers of Promise: Women in the Book of Genesis and a commentary on Judges in the Berit Olam series.